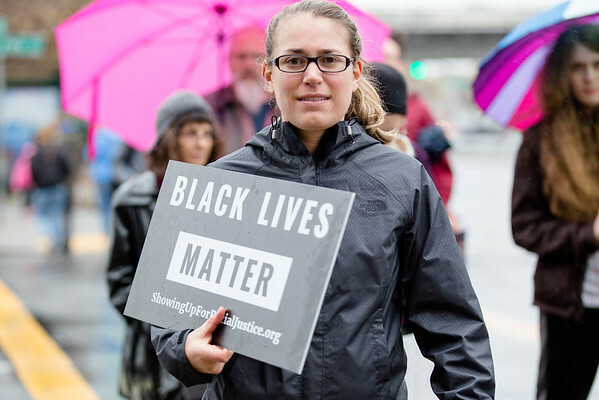 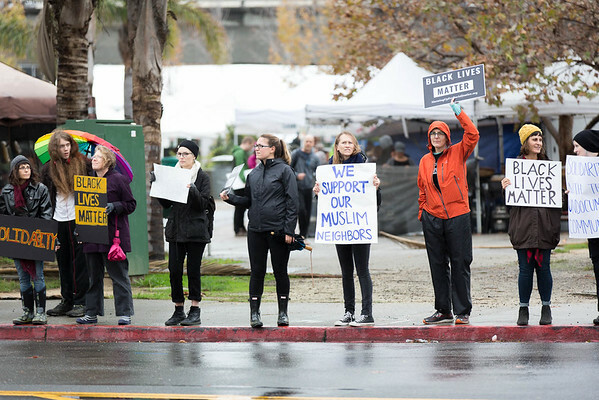 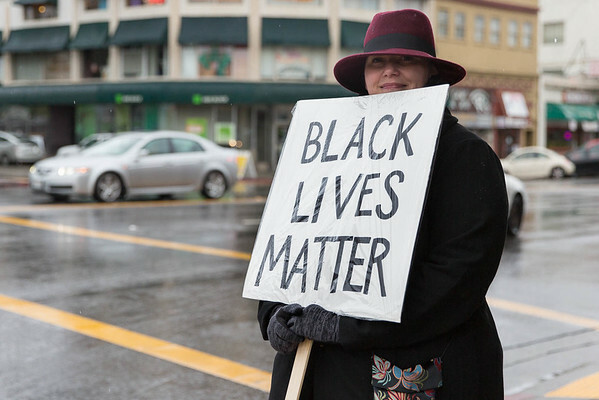 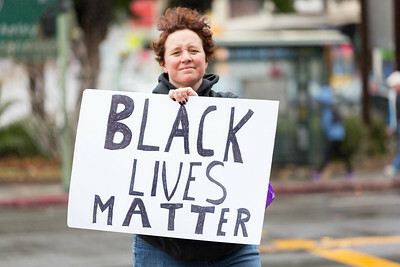 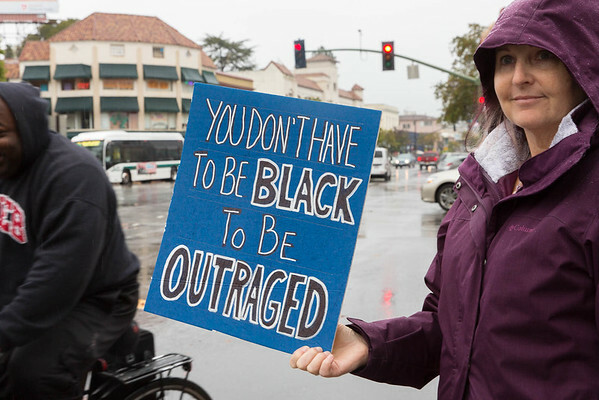 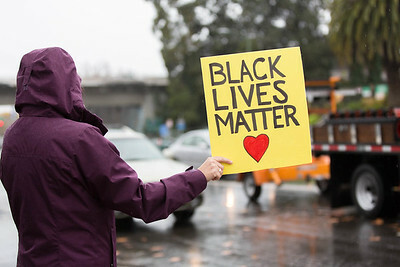 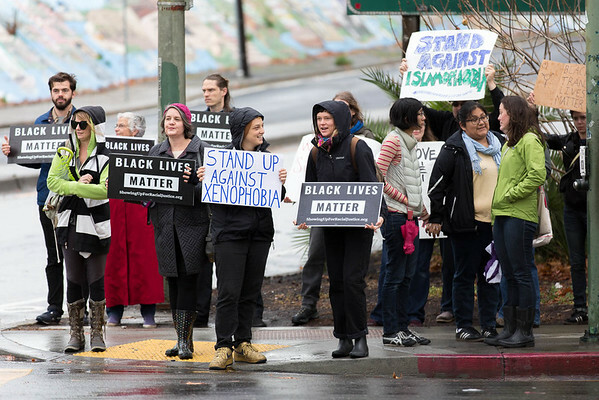 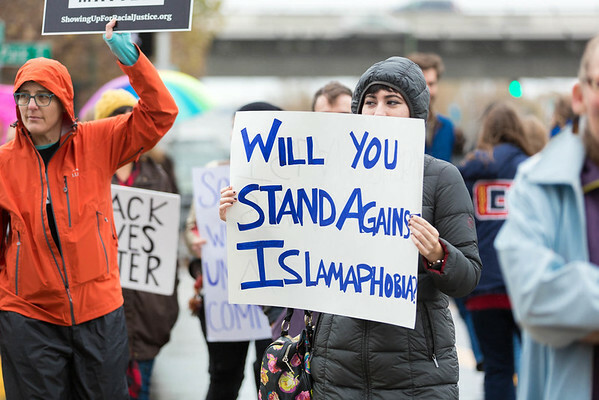 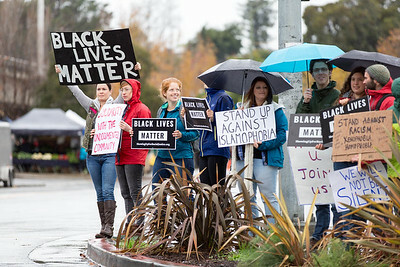 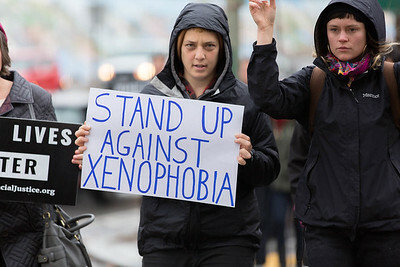 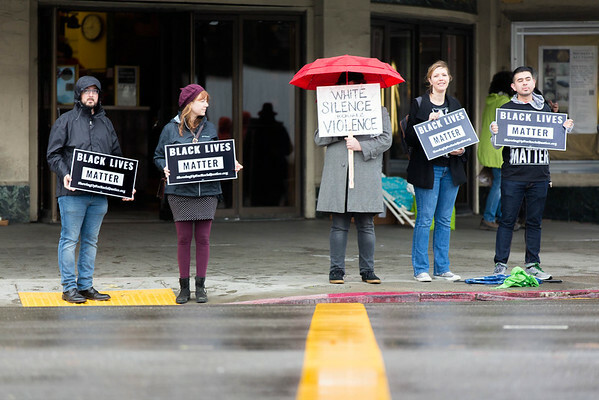 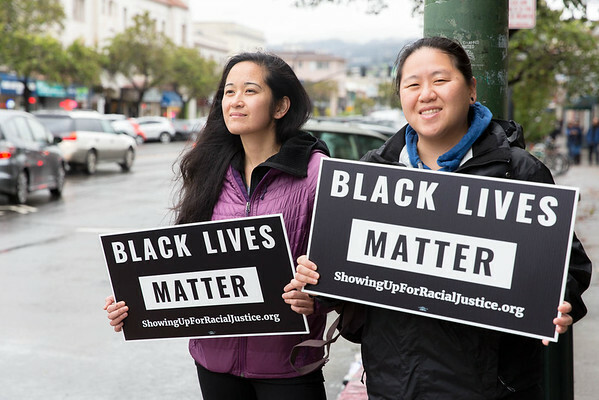 Despite the rain there was a great turn out today for the inaugural SURJ Bay Area “Human Billboard” around the vicinity of the Grand Lake Farmer’s Market in Oakland. 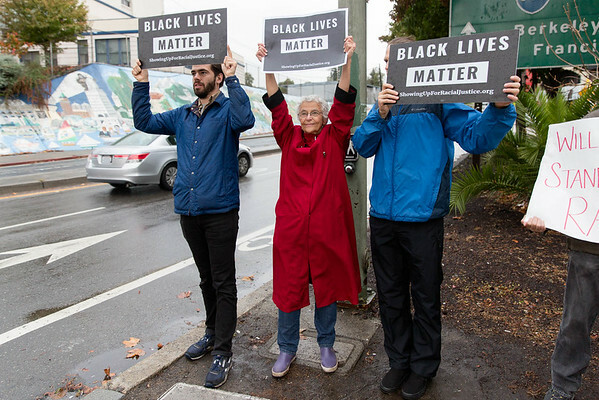 Dozens showed up meaning there were enough people to hold anti-racism signs on five different street corners and on both Lakeshore and Grand Ave. 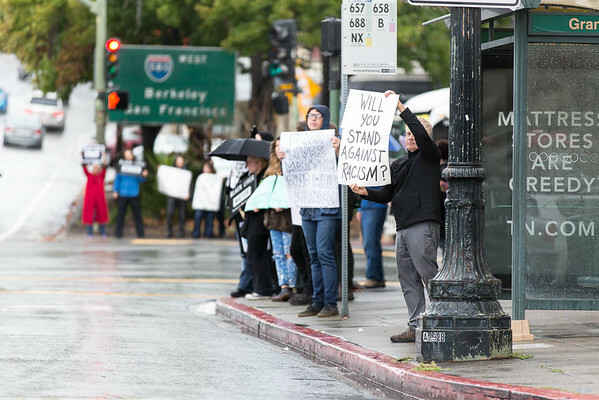 There was lively support from the neighborhood too, with plenty of supportive horn-honking from passing cars every time the lights changed.